I just went on the councils website to remind myself of some of the details in the planning application and also the conditions and guess what.... NONE of the planning documents are now on there, they have all GONE !! Why is that or is it just another glitch on the naff planning section of the councils website ? Every time I've looked for things lately there's always some sort of issue going on with documents there one minute and gone the next time you look or the wrong ones uploaded which don't relate to the application you are looking at. If WBC they can't even maintain and look after their own online planning records and uploads, lets face it it's hardly rocket science, then what chance do we have of them actually maintaining and looking after real brick and mortar or anything else they are responsible for doing or decisions they are making. it's a conspiracy to stop joe public from finding out what is going on and who got the brown envelopes. Mine too Dizzy, If I wanted to restore the house winging council officials would be all over me insisting it be restored with original materials and threatening fines if I stray from their check lists, yet it is OK to demolish it because someone can a make million pounds from it. The owners should have been fined and made to restore the farm house. Edwin E Pester would have been my Great Great Grandad if he was still alive today, my ancestors lived at Orford Farm for the duration of the First World War. The farmer at the time was Mr William Dean, my family would help around the farm whilst Edwin's two eldest sons Ted and Alf where away fighting in the war. the reason for the smart clothing is because at the time we where quite a wealthy family who moved up to Warrington from North Perrott in Somerset, one of my ancestors owned a flour mill there and our family is mentioned in the book entitled The Annals Of West Coker. Hiya Stephen. it's great to read your info about the photo and your family. This has always been one of my favourite old photo's on here so to now know more about them all is fantastic. As I may have mentioned previously (this is a very old topic so I can't remember if I did) my late mum often spoke with great fondness about Orford Farm as she and her elder brother grew up around there. They were born mid to late 30's so obviously wouldn't have known Edwin but you never know maybe they may have know some Edwins children or grandchildren etc. Mums dad (my grandad) fought in WW1 too so living around there maybe he even knew some of your Pesters. We will never know though...but nice to think they might have as people tended to be closer in their communities back then. 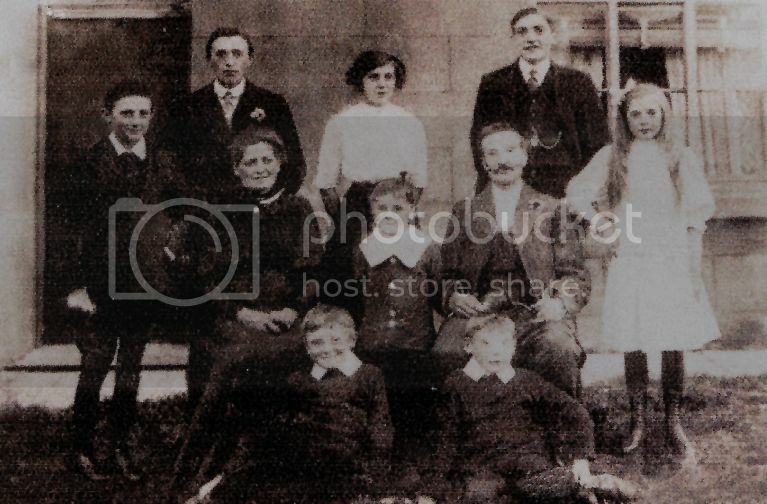 Edwin and the family lived at Orford farm from just before the war started until 1916. Alf came home from the war in 1916 because he was injured at the battle of the Somme by a shell exploding near his artillery guns position and Ted made it home uninjured. Both Ted and Alf where in the Royal Field Artillery, Ted was a signaller and Alf was a gunner.